What is the Del Monte Pro Team all about? The Del Monte Pro Team is a group of individuals who represent and endorse my No Nonsense and Live Large approach to lifting and life. In short, these 12 people are my online ambassadors. These people are action-takers, committed individuals who have used my programs to transform their minds, bodies and lives through my approach to nutrition, training and living. The people that make up the Del Monte Pro Team work with me toward one incredibly ambitious and important goal: to help 1-million skinny guys transform their bodies, without drugs or bogus supplements, by the year 2020. Mike Berg is an ACE Certified Personal Trainer who is tired of seeing clients in better shape than their trainers. He works relentlessly to improve his own physique and those of his clients. After several years in corporate gyms he recently struck out on his own and he—and his clients—couldn’t be happier with the transition. Mike uses his five years of experience training a wide variety of clients in combination with the skills he learned while earning his bachelor’s degree in psychology with a human services emphasis to help people achieve their health and fitness goals quickly, safely, and sustainably. Originally from Wisconsin, Mike moved to Phoenix, Arizona in 2012 to pursue the girl of his dreams, Natalie. Mike and Natalie live in Phoenix—with their four cats—where they enjoy hiking in the winter and trying not to burn themselves on hot car interiors during the summer months. Michael “Mikeyjoefit” Rankin is a NASM certified personal trainer who currently resides and trains in Sacramento, Ca. His main goal is to help others reach their dream physique by losing body fat and adding lean muscle through an attainable approach. His philosophy is to focus on getting just a little, “Better Everyday”, and letting those improvements stack up over time. He believes that you transform your body through your mind. If you can win in your mind first, the physical part will take care of itself. Whether you have been training for years or today is your first day, your dream body is still within your grasp. Mitch is a nationally ranked Men’s Physique competitor who specializes in muscle building, contest prep, fat loss, complete nutrition and a strong mental mindset to make it all happen. Through building muscle over the last 8 years, he’s adopted a “Mind over Muscle” work ethic to ignite untapped potential for growth both inside and outside of the gym. His consistent efforts to further his education helped to bring about a nationally accredited personal training certification, many coaching and online publication appearances, as well as a Bachelor’s Degree in Exercise from Arizona State University. Mitch has devoted his professional fitness career towards advancing the belief that the definition of being a man is far greater than the records he holds or the trophies he’s won. Through his faith-based muscle-building platform called MindsetFitness.net, Mitch is on a mission to reach others who aim to create a lasting impact with their life, both in the fitness industry and in their own relationships and goals. Mitch is currently in pursuit of IFBB Pro status in the Men’s Physique division, as well as a future spot on the Mr. Olympia stage. I grew up in Baltimore County, Maryland. Graduated from North Carroll High school (MD). Pretty good football and basketball athlete during my 4 years at North Carroll. I always had an interest in health and science. One cool fact about me: I won a national AAU dunk contest in 2007. I’ve been lifting weights since my freshman year in high school but just wanted to take my physique to the next level with Vince’s principles. I enjoy hanging with friends, watching sports, and having good music always brings good vibes. I’m getting my personal training Certificate this year to futher my experience and credibility. Tim Ernst, former “skinny fat” bakery manager turned “lean and jacked” fitness entrepreneur. Tim knows what it takes to build lean muscle while dropping body fat at the same time by unconventional and controversial methods. 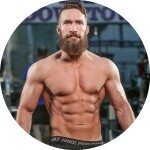 Tim is the founder of TurnAroundFitness.com and is dedicated to helping guys build max lean muscle while eating their favorite foods they’ve been told to avoid. Tim’s passion is to show other guys the possibilities that anyone can achieve their dreams and goals whether that be a physique that demands respect, a successful job, business, relationships, and nutrition. Ben Salkeld is a highly dynamic fitness professional who has spent the past decades honing in his skills within motivation and mindset, fat loss and muscle building, and corporate coaching. A national Ironman competitor and corporate coach, Ben truly understands the importance of building a bullet-proof mindset as well as intelligent training techniques when it comes to achieving your life long goals. As a father of 2, business owner and corporate executive, Ben has had to find new effective ways to train in order to achieve a lean and muscular cover-model body 365 days a year. Having featured in a number of fitness publications including ‘Men’s Muscle and Health’ and ‘Men’s Health Australia’, he is now on a mission to help other busy men break away from the all too common ‘average’ and become the ‘best’ they can be through MOTIVATION, NUTRITION and MINDSET. Cody is a US Air Force Veteran whose passion for fitness exploded while deployed. Cody watched fellow military members leave for deployments and come back jacked! The talk around base after a team returned from overseas would always be about the guy who came back bigger and stronger than ever. Cody made it his mission to be that guy everyone talked about once he returned. This led him straight into his true passion, Fitness.Cody was not genetically blessed and started his fitness journey at a measly 143 pounds, standing at 5 foot 9. A couple years and 30+ pounds of muscle later, Cody experienced the benefits of fitness inside and outside of the gym. Fitness radiated into other areas of his life outside the gym. Cody now wants to help others achieve their goals and share what he discovered through fitness. Matt is an entrepreneur who caught the fitness bug early on. After working in multiple technology startups Matt is now breaking stereotypes building muscle. Skinny software engineer turned fitness buff, Matt has packed on 15lbs of muscle while losing 8lbs of fat. Matt is focused on getting stronger inside the gym and out. He strongly believes that transformation is about your frame of mind and is not limited by your genetics. He believes with the right attitude anyone has the potential, regardless of circumstance, to overcome limitations. Through his dedication, and commitment to character development he is now helping guys build muscle and improve their lives. With a focus on science based principles, Matt is dedicated to delivering cutting edge muscle building techniques to help guys transform their bodies. By integrating technology and fitness in new ways, Matt is working to develop muscle building platforms that will give guys the tools they need to accelerate muscle growth and achieve their goals. 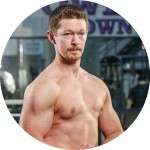 Through his muscle building blog – www.shwed.fitness, Matt is focused on finding and sharing the most effective ways to build muscle and optimize nutrition. 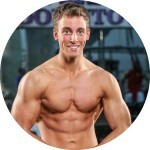 Andy is a Performance and Nutrition coach based in the UK. During his time at the University where he works he has coached and developed student teams and athletes to great success. Andy delivers educational and performance based content via classroom based seminars on numerous topics to help the users of gym develop their understanding of training and nutrition In recent years Andy has moved into working closely with the general public in particular with clients body transformations. His main belief is to educate the client on the how’s and why’s of training and diet. This way they understand what is going on and when they finish they have a sound knowledge base so they don’t revert back to old habits. Andy consistently strives to further his knowledge and education in the fitness field. This was inspired from his time at Loughborough University where they instil a winning mentality into their students and the ability to look to improve on their performance. In the up and coming months Andy will be traveling round the UK and Europe attending seminars and workshops in enhance the tools and skills he has at his disposal to use with his clients. Born and raised in Georgia, USA. I’m a student at Kennesaw State University. I’ve always had a passion for learning and to always better myself. I constantly try to become the best that I can be. I started working out 2 1/2 years ago and haven’t looked back since. I’m never fully satisfied with the results I get because I know that there is always room for improvement. I am aiming to put on another 15-20 pounds of lean muscle mass this year. Aaron Thornton is a Personal Trainer and Business Owner in Fresno, CA. His personal journey with fitness and muscle building began when he was 17. In trying to perform better in high school sports, he began lifting weights to improve his perform athletic performance. After high school he began powerlifting to continue improving his strength and gain muscle. As of today he has gained 50 lb (from 115 lb to 165 lb), and has built a successful fitness business helping people to improve their lives through exercise. He is a certified BioSignature Practitioner, and a Z-Health Movement Performance Specialist. Recently, Aaron’s favorite areas of research are: Neuro-Science and how it can be used to improve performance and relieve pain; and how to use nutrition and supplementation to improve someone’s hormones and health. Aaron has been married to his high school sweetheart, Amy, for the past 5 years. This last February they brought home their first child, Oliver. 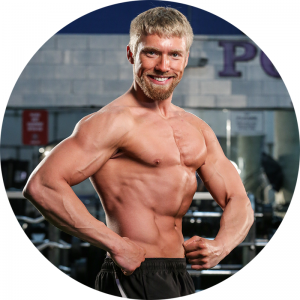 When not training with clients or learning the mysteries of the human body, Aaron enjoys spending time with his wife, son, and their Siberian Husky, Grace.